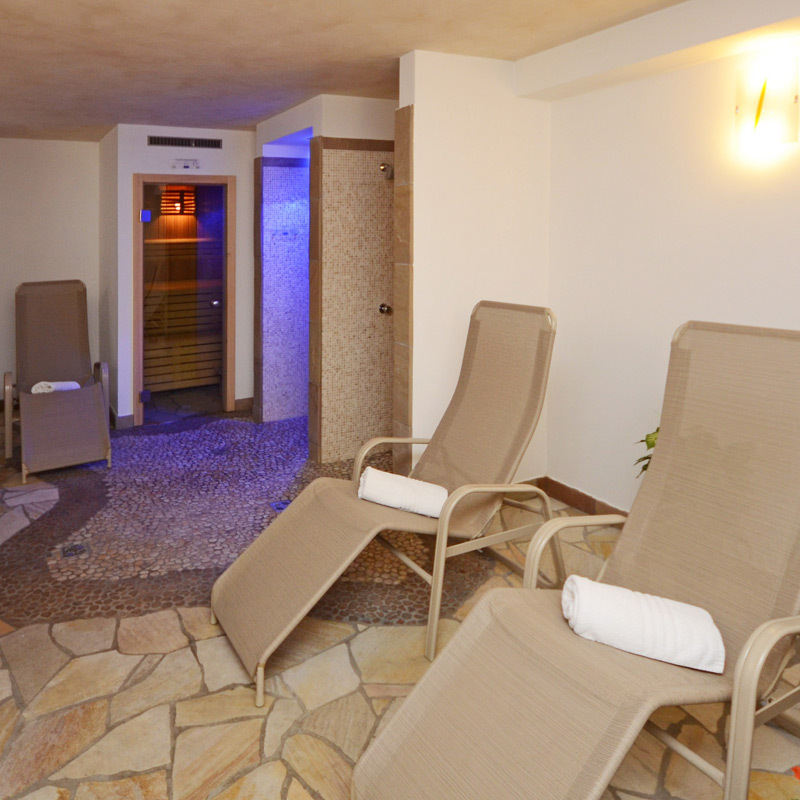 The rooms at our hotel Garni La Campagnola are adapted to the mountain environment that surrounds us. Furnished in wood, they are all equipped with a choice of shower or bath, hairdryer, safe, satellite TV and radio. 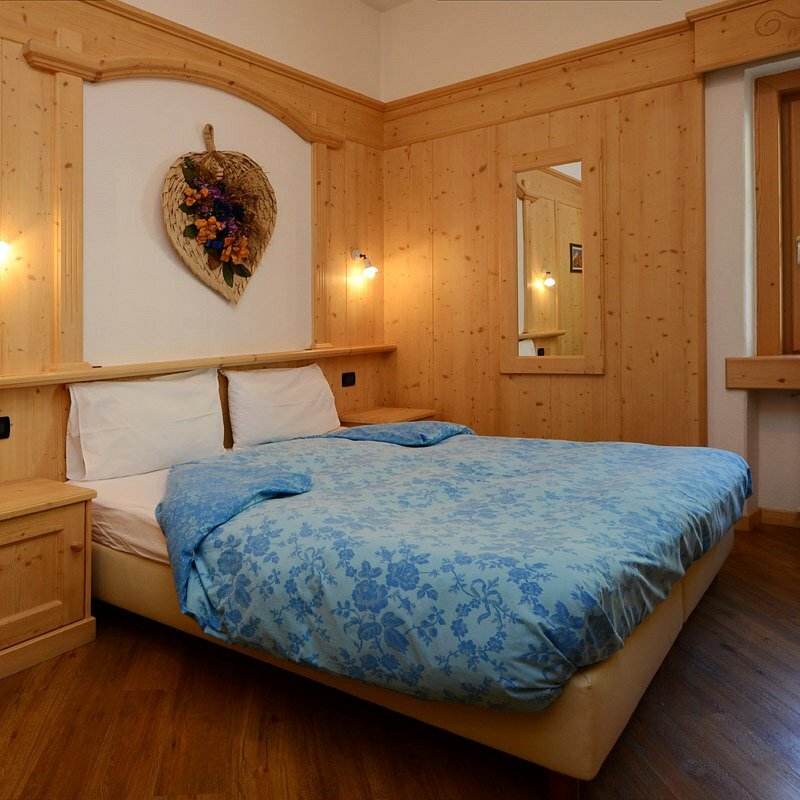 Almost all of them have a balcony with panoramic view of the Sella and Marmolada mountain ranges and some have a view over the valley and of the town of Canazei. 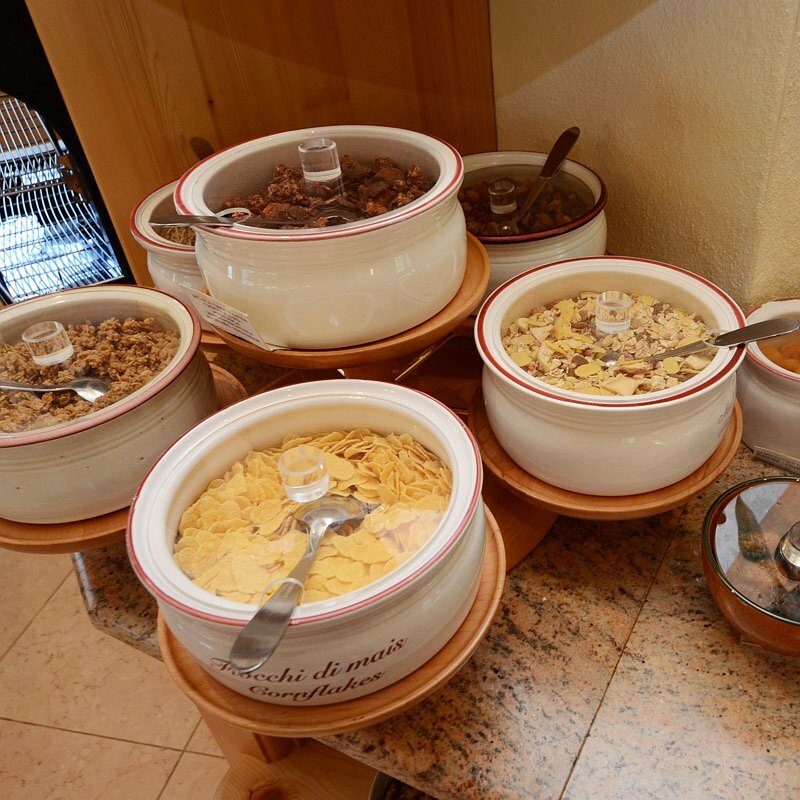 When you wake up you will find a tasty and generous buffet breakfast with homemade pastries, yogurt, muesli, fruit, meats, cheeses and more, giving you plenty of energy for your days in Val di Fassa. 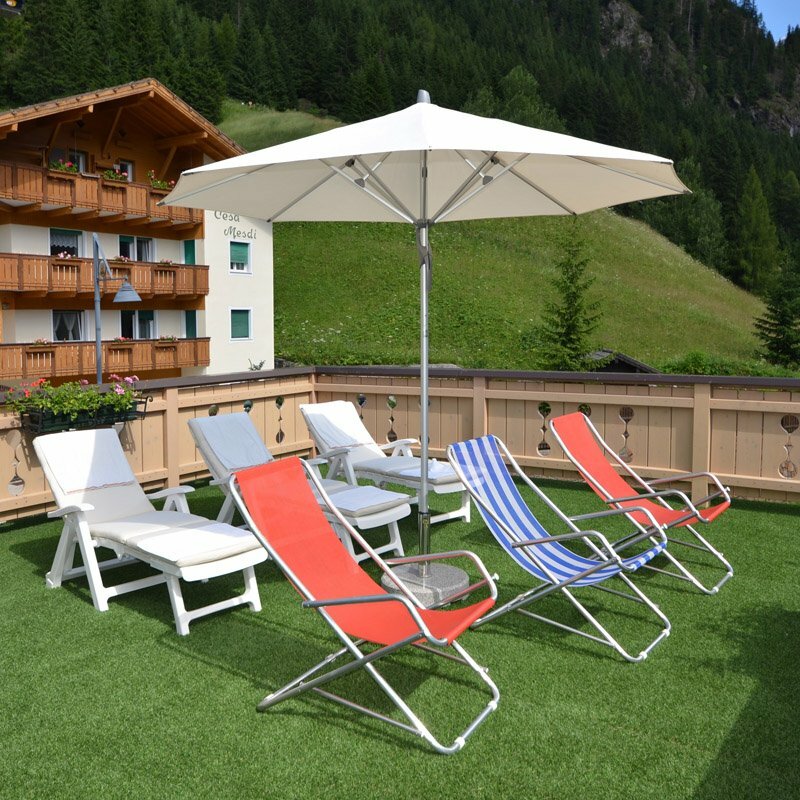 In the summer our hotel Garni La Campagnola has a terrace available where you can sunbathe or if you prefer we can offer you free mountain bike hire for pleasant trips out. We also have a nice little sauna (for a fee). 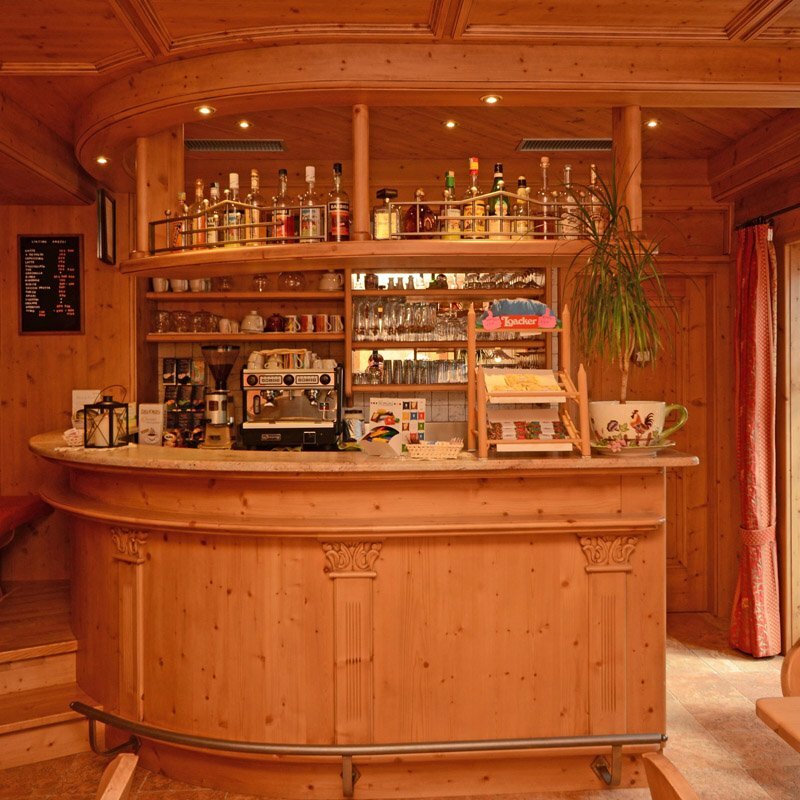 It’s everything our guests need to regenerate after a day spent on the ski slopes or after a summer excursion through the trails that allow you to discover the Dolomites. Take care of yourself and your body, recovering energy by relaxing for an hour just in your own company for true relaxation. At the disposal of our guests we also have a bar with board games, TV and a reading corner, a car park, a garden, a boot-drying area, an internet point and Wi-Fi access throughout the building. 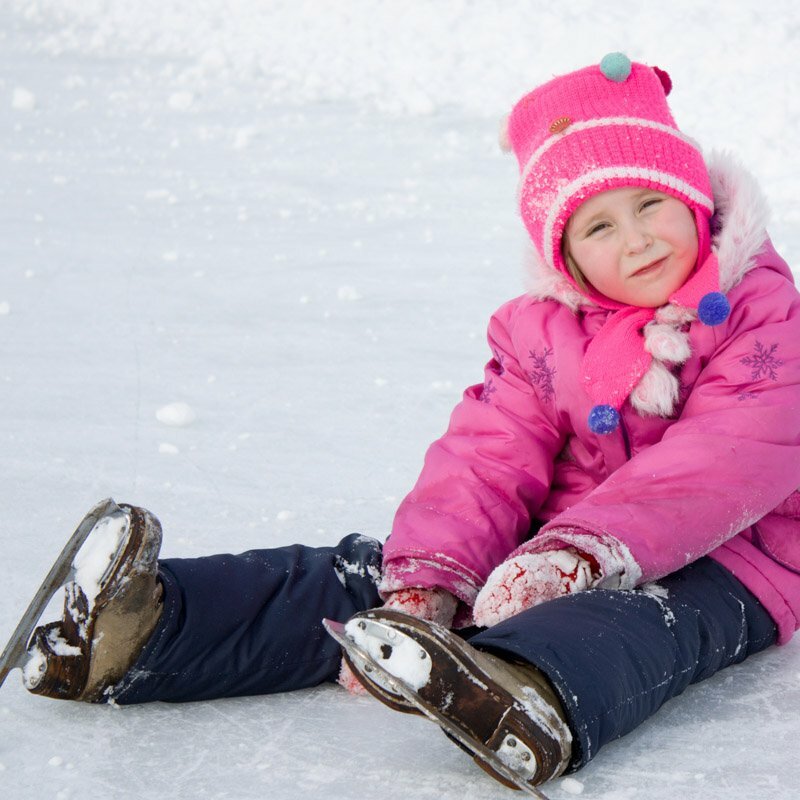 We provide 2 free passes for ice skating entrance and skate hire or for entrance to all ice hockey games. Our Hotel Garni adheres to the Fassa Outdoor Sport Community (sport check point). Discover the activities!